LPDA-A0124 is medium-gain wideband directional LPDA monitoring antenna covering the 80 - 3000 MHz, with typical gain of 6 dBi. The antenna is easy to transport, handle and use due to its deployable wire elements. 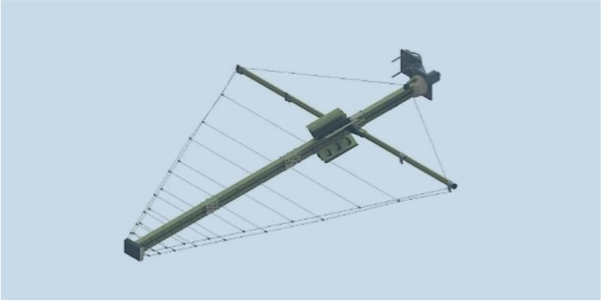 LPDA-A0124 antenna is constructed using patented wire antenna technology. This makes the antenna lightweight and allows for very compact storage, quick, easy deployment and mounting. The flexible wire elements make it easy to collapse the antenna and break off any accumulated ice. All antenna elements are permanently attached to the boom, to prevent any parts from becoming lost in the field. Polarization is adjustable between vertical and horizontal using the hinged mounting bracket. A high power handling version of this antenna is the LPDA-A0125.